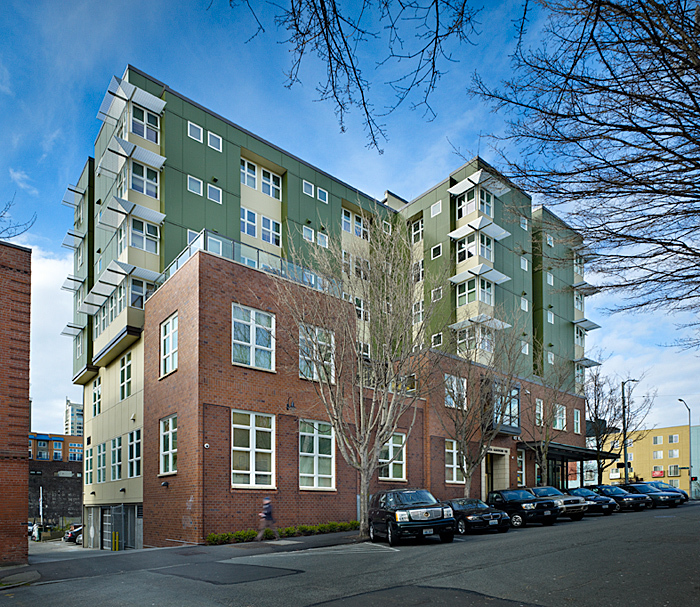 Bakhita Gardens in Seattle’s Belltown neighborhood serves women exiting homelessness through two Catholic Housing Services programs. Noel House provides interim housing for 40 women, and Rose of Lima is a congregate residence of 50 single-room-occupancy dwelling units. Bakhita Gardens also houses administrative office space, and a ground floor retail space. The building exterior adheres to the neighborhood typology of single-lot prewar brick apartment buildings, while its interior respects program participants’ dignity and need for therapeutic surroundings to move forward from the trauma they have experienced previously. Bakhita Gardens’ unique design features addressing the needs of women moving out of homelessness have been profiled in a case study by Design Resources for Homelessness.